We haven’t been to Spain lately and so we were highly thrilled to see what we can add in terms of quality in the packaging market in Iberia. Well presented by our agent Erik Fuhrmann (Ecoimpress, Barcelona) who represents FUTEC in Spain and Portugal, we got fantastic feedback. 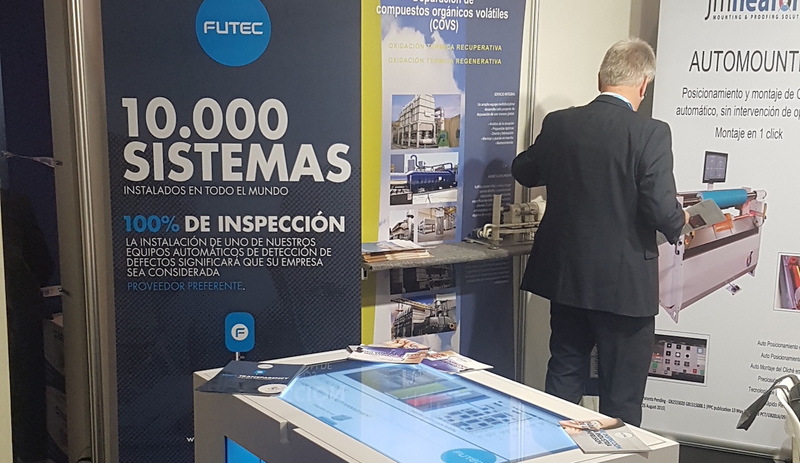 FUTEC’s push towards using sophisticated algorithms to intelligently analyse and interpret the data, FUTEC can bring significant improvements and efficiencies in key areas for flexo printers: splice detection, pressure control, and CI drum inspection. FUTEC software enables patterns to be identified in real-time, and the system is able to quickly and clearly distinguish between a printing defect and a machine defect. With Industry 4.0 in mind, these new benefits enable swift troubleshooting as well as avoiding unnecessary disruptions in production, therefore helping printers transform their businesses.